Count down is underway for the much anticipated Coillte Come Festival from 14th – 17th July 2017. A host of events for all the family – its’s a weekend not to be missed! Kiltimagh’s reining King of the Coillte’s, Padraic “Tulip” Walsh has been polishing his crown in preparation for his public duties. While word has it the Tug of War Champs of 2016 “The Cosby’s” have been in training bootcamp in an undisclosed location in hopes of retaining their title. The introduction of an Inter Pub Quiz on Thursday evening 13th July have had the Publican’s throwing pop quiz’s nightly to get training underway! Race2Glory takes place on Saturday 15th July with record numbers taking part – we haven’t seen as many High Nellies on the byroads of Kiltimagh since the 60’s. Seamus Corry has requested if anyone did recover his goggles from the “Dunk Tank” last year to please get in touch, as their absence is hindering his practice for this years showdown. The Fireworks spectacular will certainly be a must see, this will follow the official opening of the festival on Friday 14th in the Festival Field @ 10.30pm. The weekend is enhanced by the presence of the Big Red Barn in Kiltimagh, Tall Trees are on stage on Friday evening from 8.00pm. Forget Dublin – you’ll be “Remembering the Summer in Kiltimagh” with BAGATELLE in the Big Red Barn on Saturday Night. 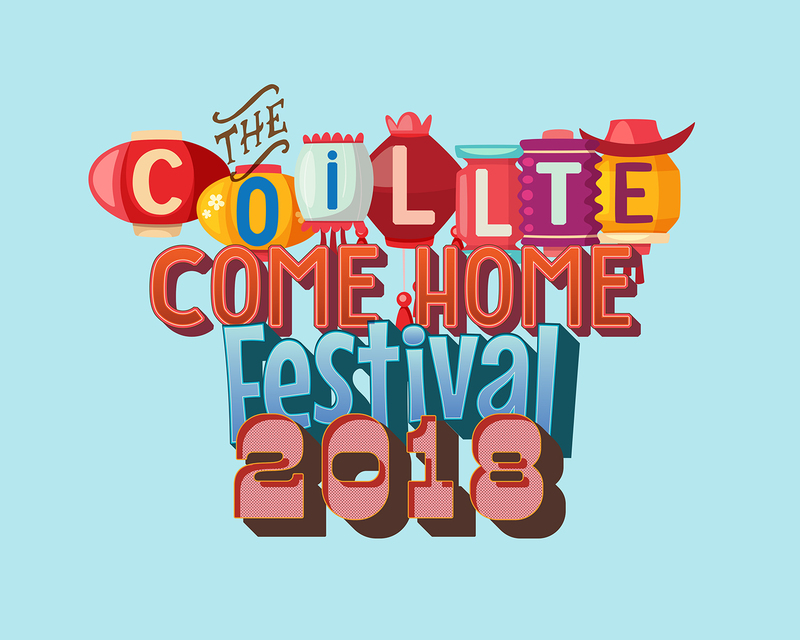 Round up the troops – Kiltimagh is the place to be for the “Coillte Come Home Festival”. See you There! !